An authoritative legal-industry report on the current state of artificial intelligence (AI) in contract analysis and data extraction, and its applications within the legal community was released today. 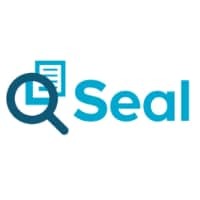 Leading industry analyst firm Ari Kaplan Advisors was engaged by Seal Software to design and conduct unbiased research, the findings of which provide clarity on how legal departments at large corporations perceive and practically apply AI-driven contract analytics in a broad range of matters. The report is derived from comprehensive interviews with professionals, predominately at Fortune 1000 organizations, whom exercise influence over the adoption and deployment of AI technology. Law department leaders from American Express, Hewlett Packard Enterprise, Nokia, Novartis, Atos, Transocean Ltd., SI Group Inc., CyrusOne, PagerDuty, and Olympus Corporation of the Americas, among others, shared their views in the benchmarking study. All but one of the participants were lawyers, about two-thirds of which were with organizations that had more than $5 billion in revenue, and most worked at companies with more than 5,000 employees. Users of contract AI, as indicated in the study, now deploy it in diverse areas with 91 percent applying it to risk assessment, sourcing and contract management, followed by compliance and procurement at 82 percent. Moreover, given the rising importance of data privacy and protection, it is not surprising that 55 percent of respondents who use contract AI identified GDPR and similar regulatory mandates among its leading use cases. Study participants also articulated the overall benefits of contract AI in terms of increased clarity and the removal of ambiguity or uncertainty in the negotiating process, a unified approach to drafting contracts, and improved reliability and accuracy in contract analysis with automated identification of inconsistencies in agreements. They emphasized the increased speed with which they can perform these tasks using AI and the value of additional intelligence that can be gathered across an entire contract corpus. Based on the findings, the researchers provide analysis and recommendations on how legal departments can get started with contract AI and increase its organizational adoption. This includes training programs, proofs of concept to measure success and identify return on investment, as well as side-by-side comparisons of contract AI with manual processes. Join law department leaders at some of the world’s best-known companies on Tues., Feb. 26 at 2:00 p.m. EST, for a live webinar, Understanding Legal AI From the Inside, Out, to gain greater understanding of how these organizations are using artificial intelligence with their portfolio of contracts. Moderated by legal industry analyst and author of today’s contract AI study, Ari Kaplan, alongside Laurie Brasner, general counsel at Seal Software, this discussion will reveal insights and challenges for successful implementation of advanced contract analytics in the enterprise.